wedi Fundo Riolito and Fundo Riofino are floor-level shower elements with channel drainage. They guide the shower water into a linear drain. 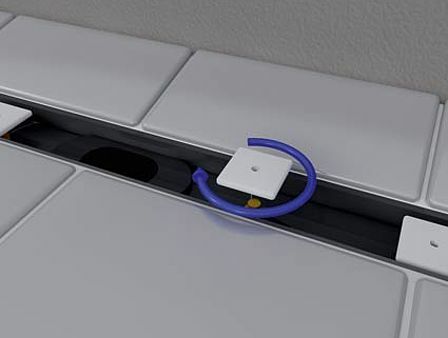 With the Riolito version, the linear drain has a lateral position, and with the Riofino version it has a central position. 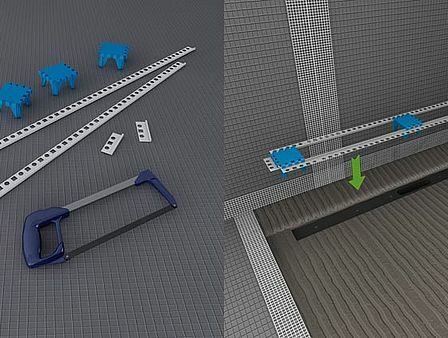 The required slope is already integrated into the floor elements. 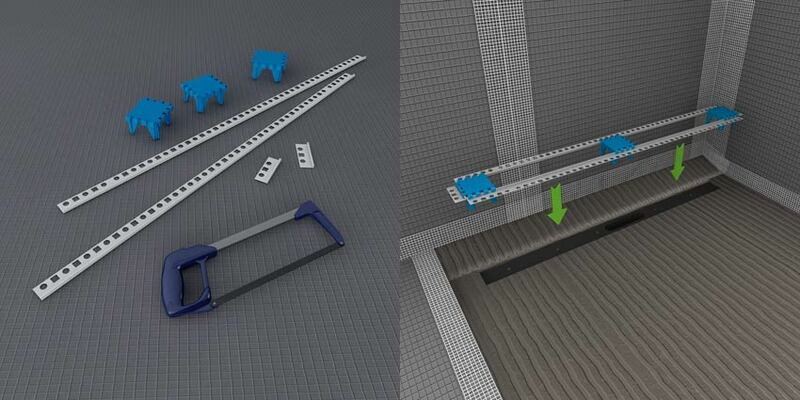 The below installation steps – shown with Riolito – are applicable to both channel options. Step 1 Create a recess in the existing or new screed. Step 2 Attach edge insulating strips using wedi 610 adhesive and sealant if required. Step 3 If sound insulation is required, Nonstep Plan can be cut to size and installed. 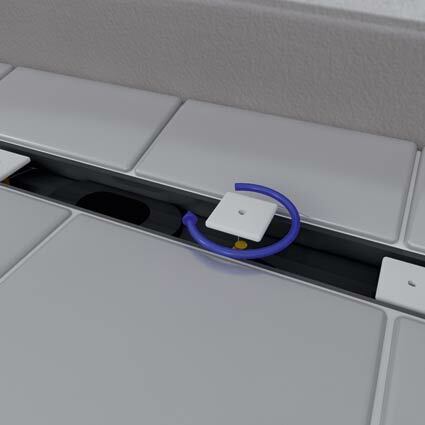 Step 4 For floor level installation, please be aware of the necessary difference between the top surface of the drain flange and the top surface of the recess. Step 5 Fill the recess with a bonded levelling screed or slightly moist screed. Step 6 Seal properly and smooth off at the required height. Step 7 Attach the sealing collar to the back of the Fundo with 4 screws. Hand-tighten the screws. Step 8 Apply tile adhesive to the entire underside of Fundo Riolito, and bond it to the substrate. Step 9 Insert shower element and seal the joints using the Fundo sealing set. Then, install the wedi Fundo Riolito profile. Step 10a Use the enclosed tiling guides. They ensure the correct distance between cover and tile is maintained. Step 10b As an alternative, the enclosed frame clamping pieces can be used to create a tile profile frame around the drain. The tile clamping pieces should be removed before grouting. Step 11 Tile the element. Step 12 Fit shower insert and two-part syphon. Step 13 Open lock nuts for cover.